In this piece, Tom Brookes explores the contradiction he sees, as a sociologist, in “teaching cultural capital” outside of the classroom as a tutor. It is December, my final tutoring session before Christmas, and I tell my student I have brought one of my favourite poems for us to read together as an appropriately seasonal treat: ‘Those Winter Sundays’ by Robert Hayden. He smiles politely. He does not, perhaps, view this as a treat. Today we talked of how the meanings of words can change over time. His expression suggests that my understanding of the word ‘treat’ is different from his, that I have changed it for my own pedagogical ends. Nevertheless, he is too respectful to say so and we read before packing up. I have heard that ‘Those Winter Sundays’ is often a set-text in US school curricula but I have never had to teach it and for that I am glad. Laying its concise beauty down on the desk for dissection would seem an act of violence. Today we read for pleasure – a ‘treat’! – and save the analysis, the dismemberment, for other poems on other days. Yet I think these moments too are educational. In them I teach the possibility of saying a poet’s name casually and familiarly. I teach that poems can be enjoyed as well as endured, that they can be talked of in terms of ‘favourites’. I teach that there is art some people say is good, art some people say is bad, and art some people say is not art. In short, I teach cultural capital. Of course, cultural capital is neither the only nor the primary thing I teach during these sessions. I also teach GCSE English Literature. Yet the two dovetail tellingly. Fundamental to the acquisition of cultural capital, for Pierre Bourdieu (1984), is the development of the aesthetic disposition, in which culture is considered as “form rather than function” (p. xxvi). 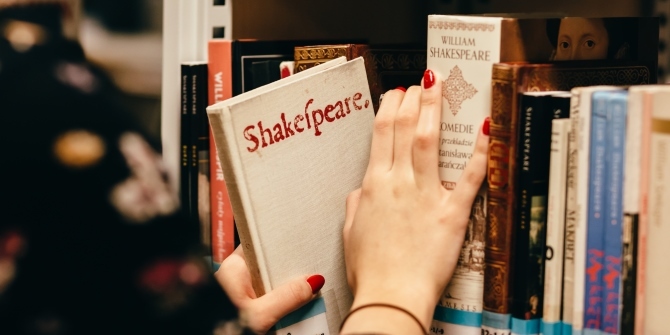 As any current or former GCSE English Literature student will attest, analysing works according to the oft-repeated mantra of form, structure and language is the keystone of the syllabus. Calcified not only in GCSEs but in all academic responses to culture, learning to consider form over function – or over emotional responses – is the surest way to seal class identity with a qualification, with what Bourdieu (1986) called institutionalised cultural capital. My perennial introductory English Literature tutoring lesson? The meaning of form and how students can identify it. Bourdieu wrote that the tools required for the acquisition of cultural capital, such as the aesthetic disposition, develop in the family home. John Goldthorpe (2007) has criticised this focus on the domestic, arguing that schools do not simply legitimise cultural capital but can create it too. Yet, in her delineation of contemporary educational inequality Miseducation (2017), Diane Reay observes that educational responsibilities are increasingly shifting onto families, at the same time as private tuition is booming among the middle-to-upper classes. Therefore, even if one views, as Goldthorpe does, education as a potential tool of social mobility, rather than simply of social reproduction, its potential is diminishing. For those who can afford it, these educational responsibilities are outsourced to self-employed tutors, working for agencies structured along the same model of platform capitalism as Uber, who are then brought in-house, in the very literal sense, to reinforce the domestic arsenal of cultural capital weaponry. My students are privileged. My presence their homes is testament to that. These are not the only moments in which they accrue cultural capital but they play their part. Privilege is passed down from generation to generation not with one large gesture but innumerable smaller ones. How do I reconcile my part in that process with the concern for structural inequality that has resulted, in part, from the education in sociology that my tutoring is funding? Why do I say sociology, but do privilege? In ‘Saying meritocracy and doing privilege’ (2013), Shamus Khan and Colin Jerolmack argue that the discrepancy between what people say and what they do is a rich area of sociological inquiry. They draw on Khan’s (2011) ethnography of an elite boarding school, in which students rationalised their success in narratives of hard work, talent and meritocracy, while in actuality practising an embodied ‘ease’ which valued performative busyness over genuine graft. This discrepancy between accounts and actions allows the ‘new elite’ to cast their privilege in meritocratic terms and, consequently, justify their place at the top of the social hierarchy. Contradictions between saying and doing are not particular to Khan’s ‘new elite’, of course. Examples of hypocrisy are not hard to find and, indeed, being a hypocrite is the answer to my navel-gazing question above. For sociologists, elemental concerns with structures and social construction, when reacting with the catalyst of reflexivity, have the potential to produce the desire to no longer implicate oneself in the system at all, instead to reach for the tinned food, for the prepper’s manual to building a bunker. And, yet, they don’t. We live in the world. But make me always a sociologist who questions. Bourdieu, P. (1984). Distinction : A social critique of the judgement of taste. London: Routledge & Kegan Paul. Bourdieu, P. (1986). The forms of capital. In Halsey, A. (Ed.) (1997). Education : Culture, economy, and society (pp. 46-58). Oxford: Oxford University Press. Goldthorpe, J. (2007). ‘Cultural capital’: Some critical observations. Sociology Working Papers. 3-36. Hayden, R. (2013). Collected poems : Robert Hayden. F. Glaysner (Ed.). New York: W.W. Norton & Company. Khan, S. (2011). Privilege : The making of an adolescent elite at St. Paul’s School. Princeton, N.J.: Princeton University Press. Khan, S., & Jerolmack, C. (2013). Saying Meritocracy and Doing Privilege. The Sociological Quarterly, 54(1), 9-19. Reay, D. (2017). Miseducation : Inequality, education and the working classes. Bristol: Policy Press. Tom Brookes is an MSc Culture and Society student in the Department. A recent convert to sociology after graduating from the University of Oxford with a BA in English Language and Literature and teaching English in Seoul, South Korea, Tom is now researching the interaction of cosmopolitanism and social class in education using qualitative methods. Excellent, Tom. Precise and thoughtful as ever.